Americans celebrate National Forest Products Week every third week in October. It is a recognition of the many products that come from our forests as well as the people who work to preserve the forest habitats. Part of the celebration is educating people about the importance of preserving forest resources. Once these resources are depleted, many aspects of the environment, including climate, could be adversely affected. Although a forest is a renewable resource, the pace at which trees are being cut down is worrisome. Many species are at risk of extinction because of excessive cutting and climate change. One tree with a bleak outlook is the Hevea brasiliensis or rubber tree. This tree is the source of natural rubber that is used in the manufacture of vehicle tires. Guayule – Scientifically known as Perthenium argentatum, Guayule is a flowering shrub that belongs to the aster family. It grows in Texas and New Mexico in the U.S. and in many states in Mexico. It is an alternative source of latex that is also hypoallergenic, making it a prime material for medical gloves. Guayule can be harvested and subjected to a process that will separate latex from biomass. Production, though, is limited, making guayule a poor alternative source of rubber material. Dandelions – The flowering plant that most people try to remove from their yards contains a small amount of latex. Scientists have cultivated foot-long dandelions in order to extract more latex from the plant. 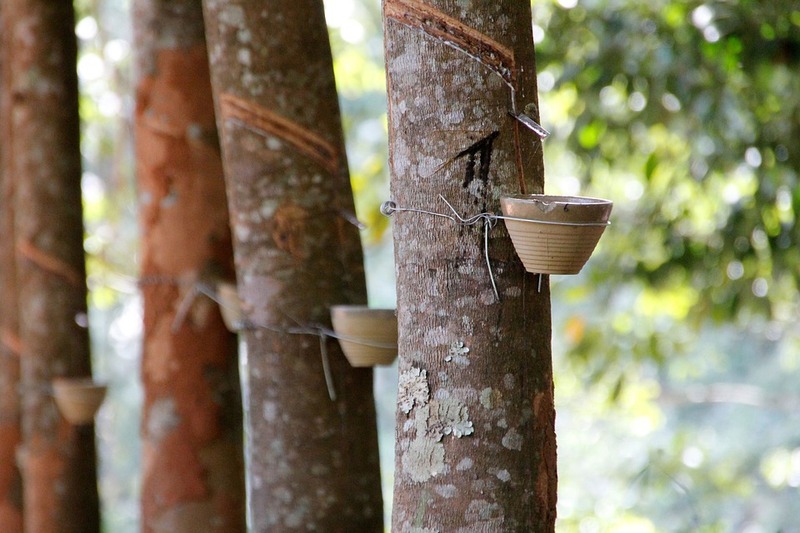 Several companies are using the herb to cover the shortage of latex from the rubber trees. Orange oil – Orange oil has many industrial uses. Recently, manufacturers have been using it in the formulation of tires. Orange oil can lower rolling resistance and provide better flexibility in tires. Soybean oil – Soybean oil can add years to the life of tires, reducing the use of fossil fuel in tire manufacture by up to 8.5 million gallons per year. Silica – This is the main ingredient in sand. It was discovered that silica, when added to other tire ingredients, can cut rolling resistance to enhance fuel efficiency. Scientists and engineers continue to search for alternative sources of materials for tire production to diminish the dependency on threatened rubber trees. The next time you buy new tires in Utah, ask the dealer about green options.